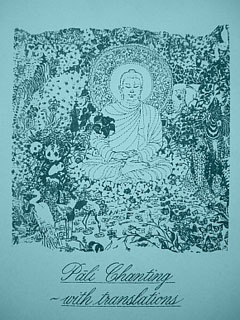 This page provides talks by Buddhadasa Bhikkhu and others, selected morning readings, the chant­ing book used at the In­ter­na­tion­al Dharma Her­mit­age, and the yoga-routine Khun Reinhard has taught for many years to the male par­tici­pants of the retreats for down­loading. For the time being the following talks, articles, books etc. 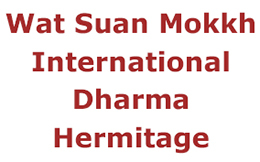 from and about Suan Mokkh retreats are avail­able for down­loading. 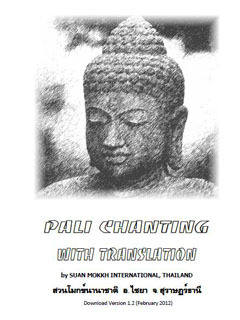 Eight talks by Tan Ajahn Buddha­dasa given during the rains retreat 1982, trans­lated by Tan Dhammavidu. 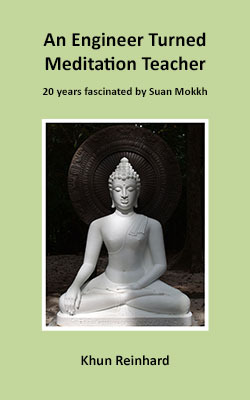 The wealth of Ajahn Buddhadasa's teaching is available via the links on the Wat Suan Mokkh - page of this website. Many par­tici­pants enjoy the chant­ing during the retreat and would like to continue after they leave. Right from the start it has to be stressed that the retreats at the In­ter­na­tion­al Dharma Her­mit­age are med­i­ta­tion and not yoga retreats. The purpose of doing yoga during the retreat is to help the body (and mind) to deal with the challenges involved in a retreat. It especially helps people from the West who are not used to sitting in a medi­tative pos­ture on the floor for long periods. Sooner or later bodily dis­com­fort in knees, hips, back, shoulders, and neck may arise. Yoga aims to help with this situation. Women and men have separate classes with a female in­struc­tor for the women and a male in­struc­tor for the men. During the med­i­ta­tion retreat the mind should become calm and peace­ful and the par­tici­pants should become aware what is going on in their bodies and minds. The yoga class is designed to accomplish just that, is designed to prepare body and mind for med­i­ta­tion. Most par­tici­pants gain a lot during the 10 days of the yoga class and many continue with the routine or parts of it after the retreat. A career of a different kind. This book de­scribes my trans­formation from a well-­paid engineer in Germany to an unpaid med­i­ta­tion teacher in Thai­land and at the same time takes a look behind the scene of the In­ter­na­tional Dharma Hermitage. Buddhism, meditation, exotic cultures, par­a­dis­iacal sur­round­ings, lovely people, a re­mar­riage but also having had cancer twice has in­flu­enced this process of change between the years 1995 and 2015 decisively. 26 photos, graphics and tables illus­trate my living conditions at the retreat centre. Many people par­tic­i­pat­ing in a med­ita­tion retreat for the first time have only vague, some even wrong ideas re­gard­ing medi­tation, its objec­tives and the way to reach them. This book aims at eliminating mis­under­stand­ings re­gard­ing the meditative de­vel­op­ment and illus­trates ex­em­plar­ily which de­vel­op­ment lay people can experience after long years of practice. Karriere einmal anders. Dieses Buch be­schreibt meine Wand­lung vom gut ver­dienenden In­ge­nieur in Deutsch­land zum unbe­zahlten Medi­tations­lehrer in Thai­land und gibt dabei gleich­zeitig einen Blick hin­ter die Ku­lis­sen der Inter­natio­nalen Dharma Her­mit­age. Bud­dhis­mus, Medi­tation, exo­tische Kul­turen, para­die­sische Um­ge­bung, lie­bens­werte Men­schen aber auch zwei­malige Krebs­er­kran­kungen haben diesen Wand­lungs­prozess zwischen den Jahren 1995 und 2015 ent­schei­dend beein­flusst. 26 Fotos, grafische Dar­stel­lungen und Tabellen illus­trieren meine Lebens­umstände im Retreat­zentrum. Viele erst­malig an einem Medi­tations­kurs teil­neh­mende Men­schen haben nur vage, manche fal­sche Vor­stel­lungen von der Medi­tation, ihren Zielen und dem Weg dorthin. Dieses Buch will hel­fen, Miss­ver­ständ­nisse bezüg­lich der medi­ta­tiven Ent­wick­lung zu besei­tigen und ex­em­pla­risch ver­deut­lichen, welche Ver­ände­rungen Laien nach lang­jähriger Praxis erle­ben können.